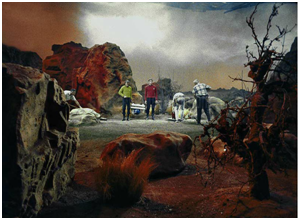 Note production crew members sweeping the sand and preparing the props on Desilu Stage 10 as William Shatner and Stephen Brooks wait for the call to action. This is another imaginative space-age mystery, handled with suspense, intuition and emotion as Captain Kirk insists on defining and destroying a vaporous cloud-like substance which has already caused the death of a number of his crewmen, despite that he already has an urgent assignment to deliver perishable vaccine to a planet in need. 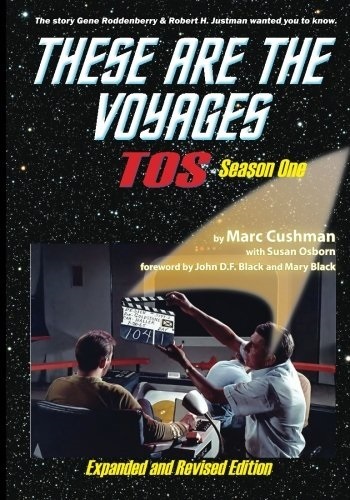 The reaction of Mr. Spock and Dr. McCoy to their Captain’s obsession with the deadly cloud, along with the discovery of the Captain’s motive, adds up to a thoroughly absorbing adventure. _This episode is one of the highlights [on television] tonight. 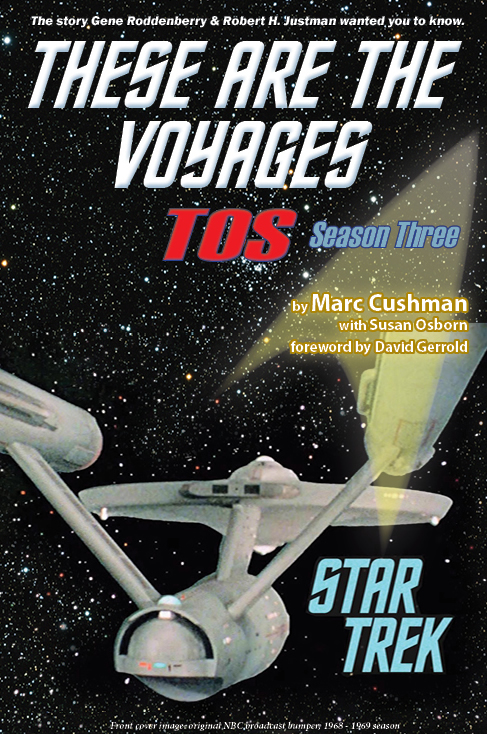 Stephen Brooks stars in his first TV role since leaving his regular role on the FBI series, playing the son of Captain Kirk’s first Captain. His father was killed by a strange cloud-like creature, which also killed the entire crew of that Captain’s starship -- except for Kirk. When the cloud creature shows itself again, 18 [sic] years later, Kirk becomes obsessed with the killer creature, which lives on red corpuscles and now threatens all of the lives aboard the Enterprise -- except for Mr. Spock, whose blood is green. A.C. Nielsen did the nose counting. 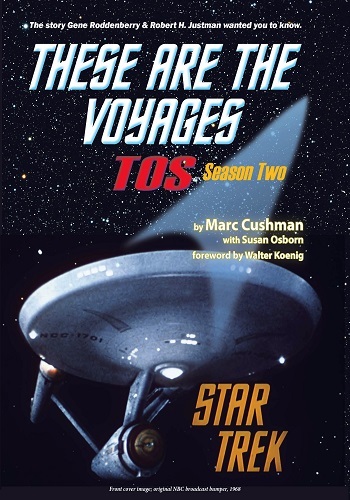 Star Trek was a solid second place competitor in the ratings on this night, and the darling of the TV critics. And, since Nielsen figured an average of two heads per household watching, that means nearly 25 million people were tuning in. We were among them; were you?